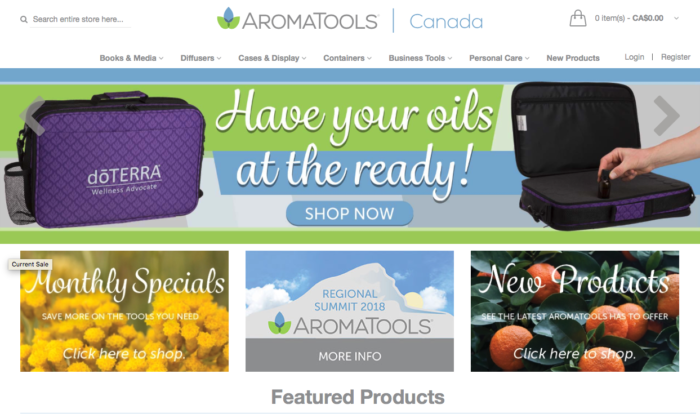 Aroma tools, or ACH as we know them by is a major player in the aroma therapy and essential oils market both locally and globally. We have worked with them to bring several Volusion sites in house under one Magento instance and create new opportunity to reach an ever growing international market. With deep integrations to their internal NetSuite system and advanced customizations to meet the unique business process needs we have been able to provide a one off solution that creates opportunity and efficiency for them.